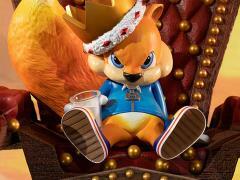 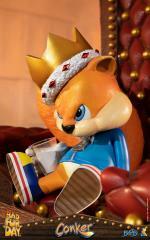 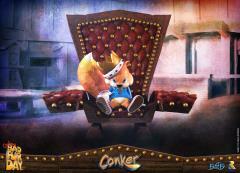 Growing up, Conker the Squirrel was taught not to be greedy and to abstain from drinking alcoholic beverages. 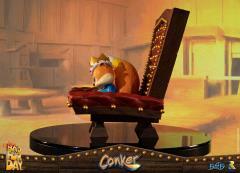 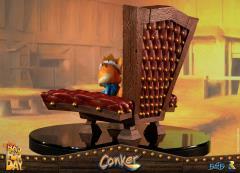 In the video game Conker's Bad Fur Day, however, that was obviously not the case. In the opening scene alone, everyone's beloved antiheroic red squirrel lies to his girlfriend, Berri, to go out drinking with his friends, only to (end up/find himself) lost and hungover the next day. His unexpected journey to the throne is a bizarre and rough one to say the least, but it is one worth witnessing to the very end. 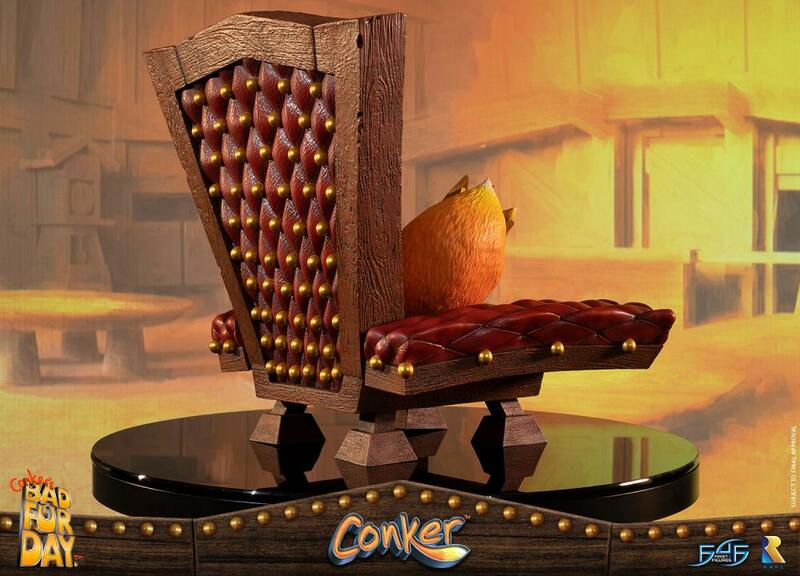 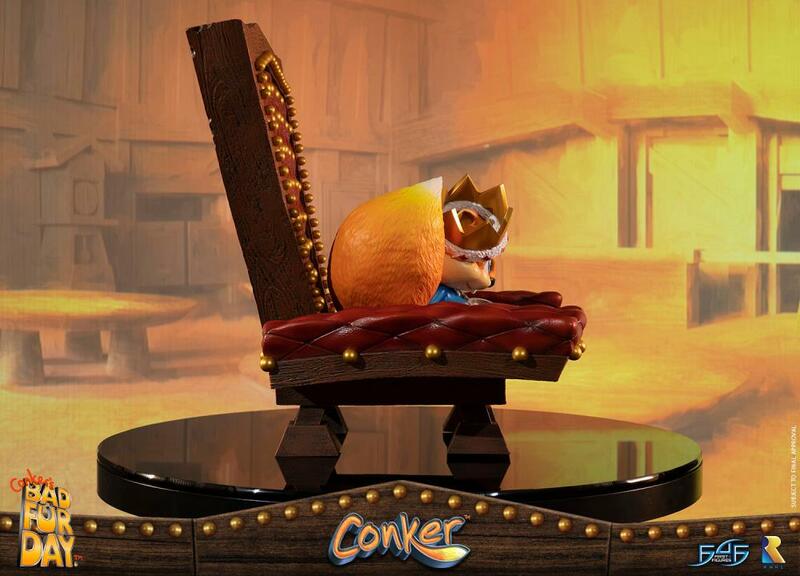 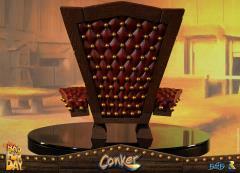 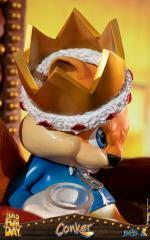 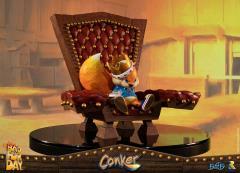 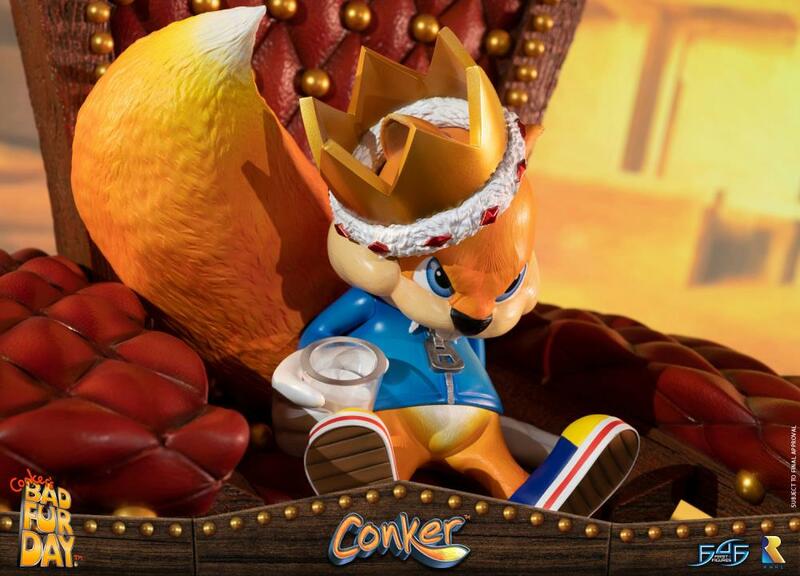 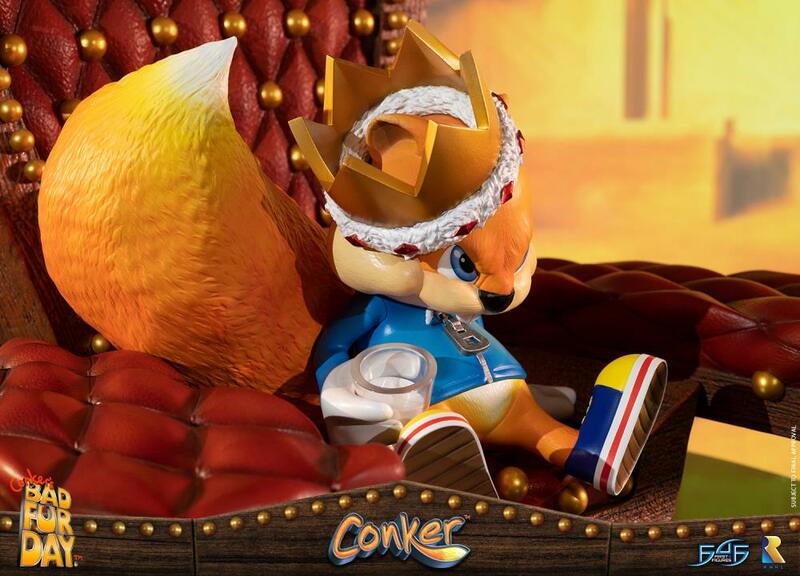 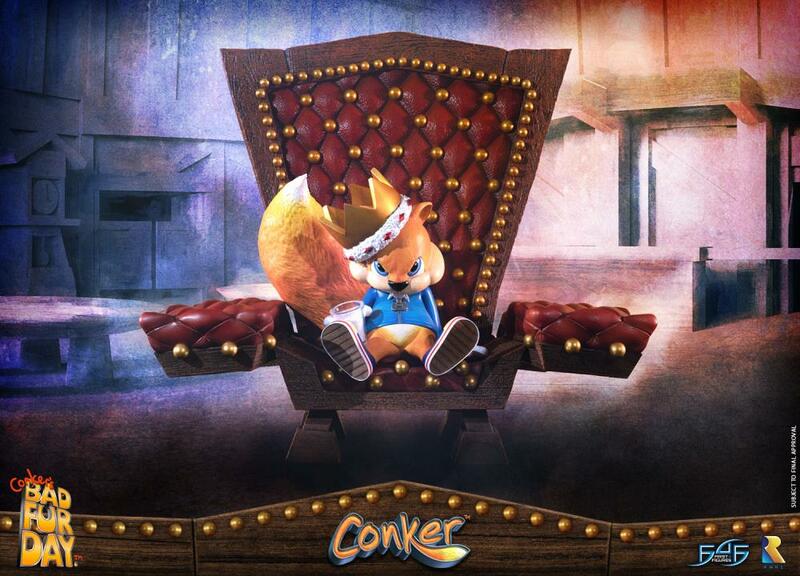 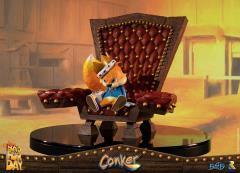 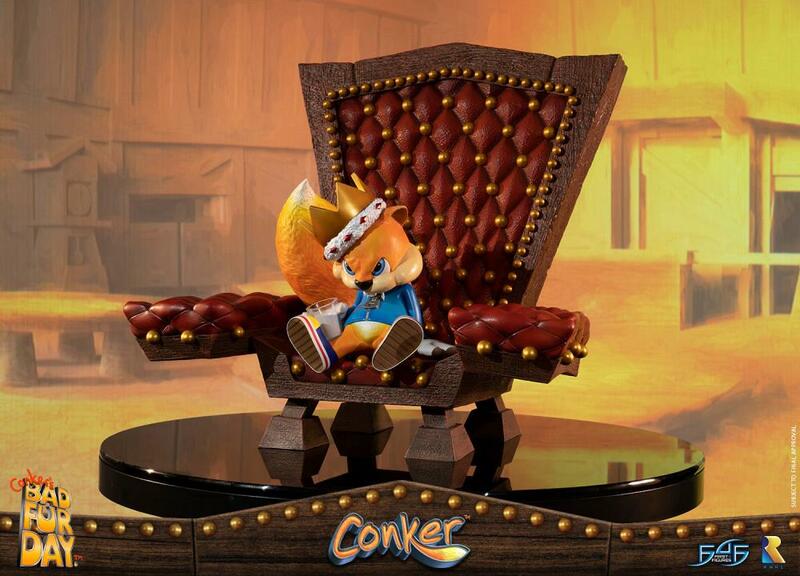 This Exquisite Conker on Throne statue is inspired by the game and features him sitting on an exquisite throne holding a glass of milk and wearing a classic golden crown. 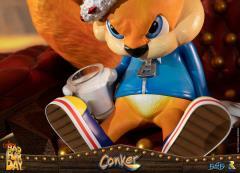 The statue is made of resin and stands approximately 16.5 inches (42cm) tall.